Ghanaian midfielder Mubarak Wakaso is confident countryman Patrick Twumasi will success at Deportivo Alaves next season. 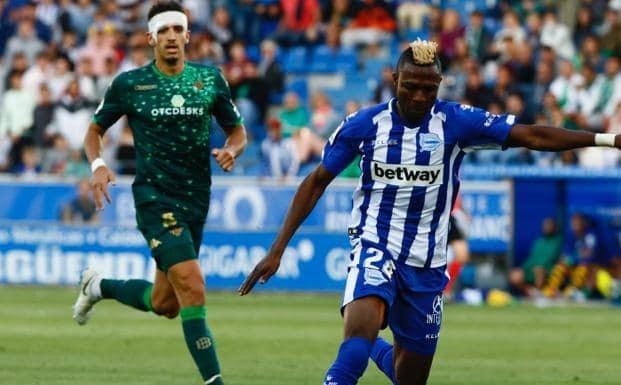 Twumasi since joining the La Liga side in the summer has struggled with several injuries making it difficult for the striker to find his form. He joined on a four year deal from Kazakhstani side Astana in the summer. The 24-year old is yet to score his debut goal for the club after making 8 appearances in all competition for the La Liga side. 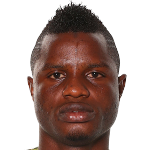 Compatriot Mubarak Wakaso, who is having a better season at Alaves believes his compatriot will come good next season. "He has taken the rhythm of the team and how it is played in Spain, so I think that next year will improve a lot", Wakaso said ahead of their game against Espanyol on Saturday. Despite the lack of consistent play time for Twumasi, the striker has seen action in the club's last three games coming on as a substitute against Atletico Madrid, Sevilla and Leganes. He is expected to make the squad for the game against Espanyol on Saturday at the Cornella-El-Prat.